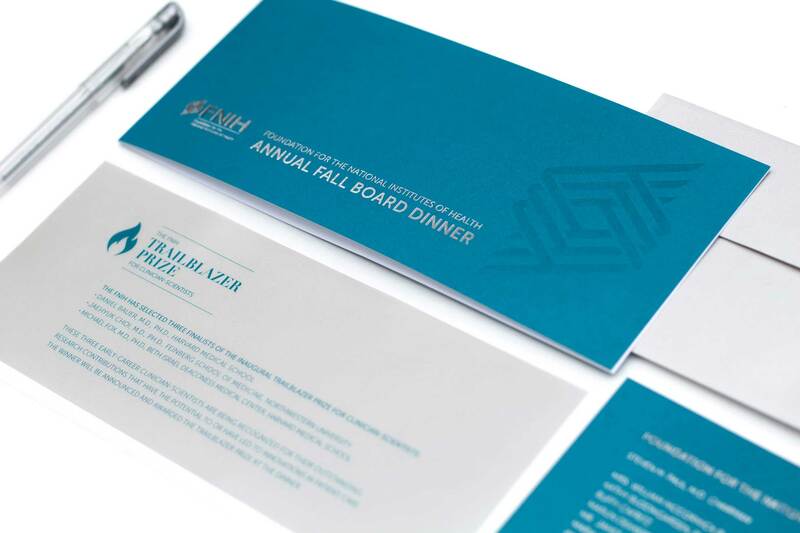 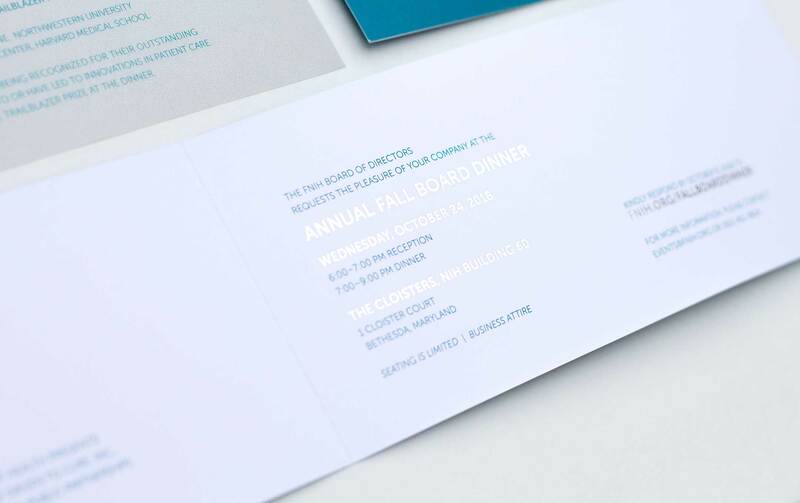 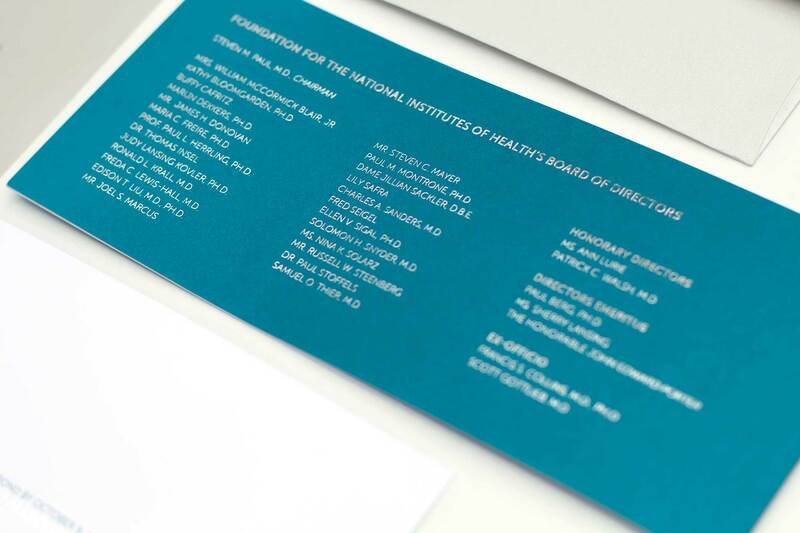 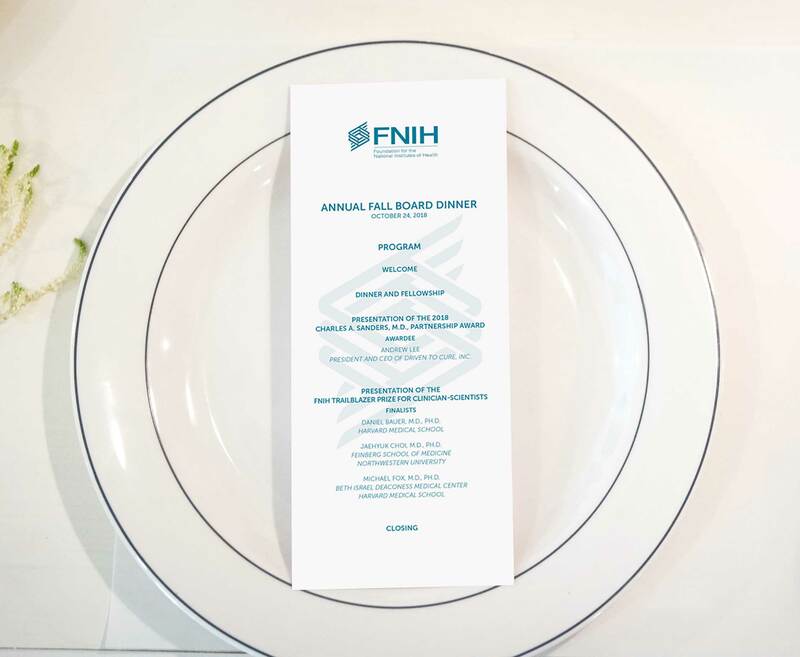 Each fall, the Foundation for the National Institutes of Health host their Annual Board Dinner to honor board members and bestow the prestigious Charles A. Sanders, M.D., Partnership Award as well as the Trailblazer Prize for Clinician-Scientists upon leaders in biomedical sciences. 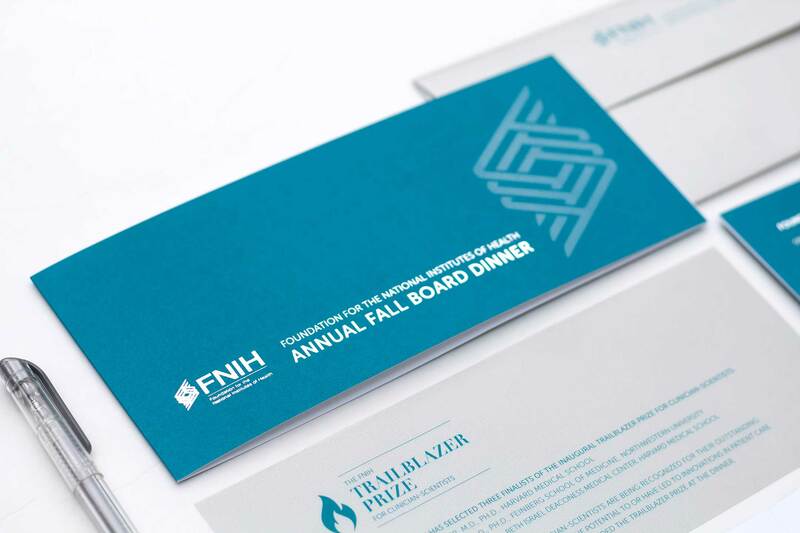 This was my first crack at designing for this event and I don’t mind tooting my own horn by saying I knocked the ball out of the park. 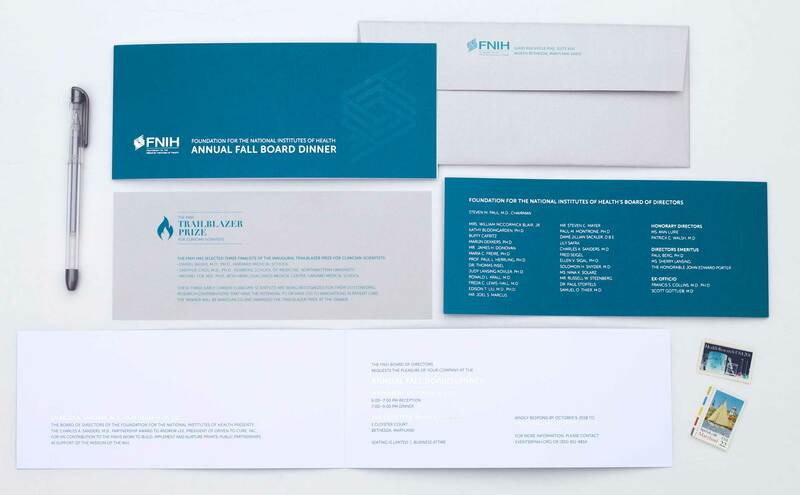 😊 The lovely metallic silver envelope opens to reveal the sleek long and lean teal blue invitation with silver foil and an oh-so-subtle clear foil triple helix. 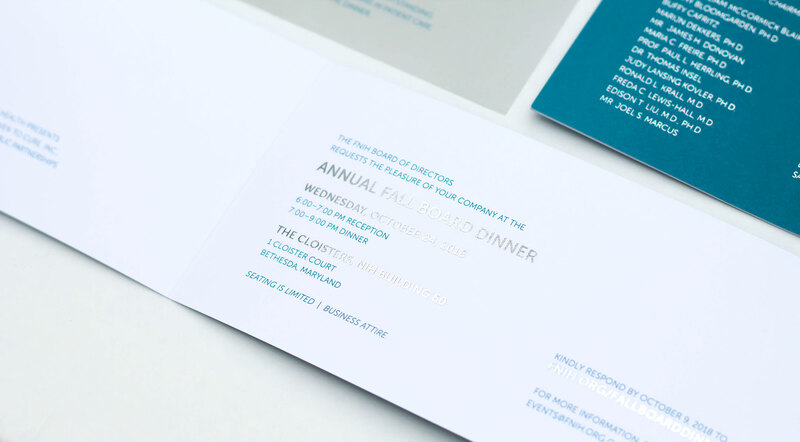 The metallic silver transparent vellum insert matches the outer envelope and helps tie the whole family together.